Little Bear Motel is located at 1416 Uinta Drive. 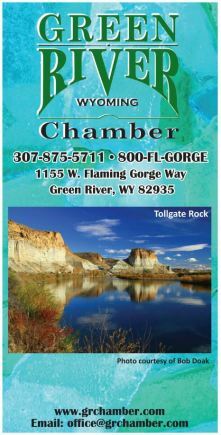 The only motel located south on Highway 530 in Green River near parks, schools, shopping, restaurants, banks, churches and only 25 miles from Buckboard Marina & Flaming Gorge. Rooms are renovated and equipped ''Just Right'' for nightly, weekly or long term stay for our guests comfort and convenience. Each room with large TV, refrigerators, table/chairs, micro-waves. Several adjoining rooms including our 350 sq.ft. suites equipped with big screen TV's, living room furniture and large refrigerator. Easy access for RV/ boat parking. Large patios. Outside smoking areas. Competitive rates with veteran and Senior discounts. All rooms are no smoking, no pet rooms. Formally the Sweet Dreams Inn. We offer Single Rooms, Double Rooms, Suites, Adjoining Rooms & Handicap accessible rooms. Linda Failoni & Scott Hamel are the New Owners & have lived in Green River for more than forty years.